2016 has gotten off to a busy start for New Zealand shipyard Yachting Developments. With two new build superyachts and a major refit underway, the first new build – 33.7m Hull 1012 – is set to launch at the end of April this year and lamination work on the second new build – 38.7m Hull 1015 – has just begun. 2016 began with the yard continuing its long-term support for the New Zealand Millennium Cup regatta, held in the Bay of Islands. Two of the yard alumni, Silvertip and Steinlager 2 were racing, with Silvertip performing consistently and Steinlager winning the Pacific Cup division for the second year running. Yachting Developments was well represented on site at the regatta with four of the team, including managing director Ian Cook racing on board the iconic Steinlager, which underwent a significant refit-restoration at the yard in 2014. Now into its final few months, the build of the 33.7m Frers sloop Hull 1012 is progressing well. The bespoke interior, designed by Adam Lay, has all been put together and built in house by the yard’s specialist interiors team and is now being expertly fitted, giving tantalising glimpses of how she will look on completion. The lifting keel, which will allow the owners complete freedom with access to even the most shallow of anchorages on their adventures around the world, has now been attached and final electrics and engineering work will ensure the yacht is fully powered before leaving the shed. A launch ceremony will take place in Auckland’s Viaduct Harbour in late April. Work on 38.7m Hull 1015 has also made significant progress with moulds for the huge Michael Peters-designed sportsfisher now complete and lamination work commencing. The yard is now able to release the first in-build photos of the project, which show the true scale of this unique yacht. The long-term refit of 21.3m 1948 classic yacht Windhaven is also set to complete in 2016. Purchased by a Kiwi family the yacht has been carefully restored to her former glory. In a story that is fitting as tribute to the yard’s dedication to ensuring the future of many of New Zealand’s most iconic yachts, Windhaven currently sits in the shed alongside another restoration project Erewhon, which was built alongside Windhaven in in 1948. “2016 is going to be a busy year for the yard and we are enjoying these last few months of work on Hull 1012 and the refit of Windhaven; it is always gratifying to see projects come together and go on to be enjoyed by their owners,” says Ian Cook, Managing Director of Yachting Developments. Yachting Developments welcomes all interested media to view these exciting projects. Full imagery and media packs on Hull 1012 will be distributed on her launch in April. Please let us know if you have any requests for information for planned coverage. 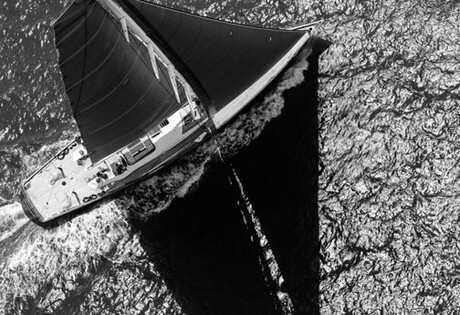 Yachting Developments is an award-winning builder of composite yachts. The owners and staff at Yachting Developments have shared the vision and dreams of more than 70 individual clients, creating vessels of the highest quality standards, designed and custom made to the clients brief. With launches including 33.8m S/Y Silvertip, 37m S/Y Bliss and 30.5m S/Y Quintessential, and the award-winning refit of the J-Class Endeavour to their name, the yard has forged a strong international reputation for its high quality work and specialist team.